An enigmatic French portrait painter, Lefebvre was received into the Academy in Paris in 1663. He was one of the few independent talents who did not conform to the pattern set by Le Brun and later by his rival Pierre Mignard during the reign of Louis XIV. He has been neglected because he did not play a significant role in the all-important royal circle. The probable reason for Lefebvre s obscurity is that he failed to paint sitters of any importance. His surviving works are all attributions. 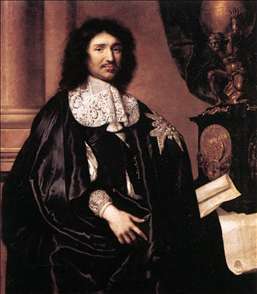 The portraits associated with his name have the softness of those of Bourdon combined with the stronger realism of Philippe de Champaigne, and it appears that Lefebvre achieved a considerable reputation in his lifetime. It is in fact unlikely that all the pictures attributed to him are by the same hand. 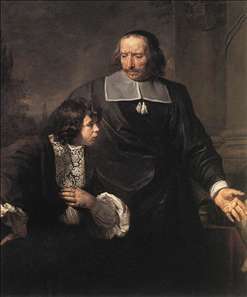 See more details about "Portrait of Jean-Baptiste Colbert"
See more details about "A Teacher and his Pupil"